Automatically detect fields present inside the form. This addon requires Styles and Layouts for Gravity forms Plugin. 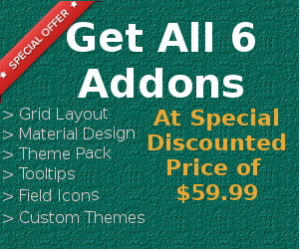 After successful payment you will recieve email with download link and license key for addon. You can also download it directly from accounts page.